On January 4th our team was joined by Chris Davies, a friend of Joseph Marsden. 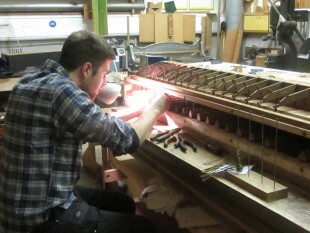 Under Joseph’s trained eye, Chris will learn all the different elements of organ building and restoration, through the whole workshop. Chris is also a tuba player with Armthorpe Elmfield Brass Band. Chris has worked as a car mechanic, specialising in classic cars.